With winter fast approaching, our minds turn to improving the comfort and efficiency of our homes while saving money on utility bills. Thankfully, Professional Engineer and President of Battic Door Energy Conservation Products Mark Tyrol is here to share his expertise and guidance on four sneaky ways that you could lose the heat in your home this season. Imagine leaving the windows open all winter long — the energy loss, the drafts and the extra money wasted on utility bills. Well, if your home has overlooked holes, that may be just what is occurring every day. Drafts are the largest source of heating and cooling loss in the home. So what can you do about drafts from the four largest “holes” in your home — the clothes dryer, the fireplace, the folding attic stair and the whole house fan? Here are some tips and techniques that can easily, quickly and inexpensively seal and insulate these holes. In many homes, the room with the clothes dryer is the hottest room in the house. 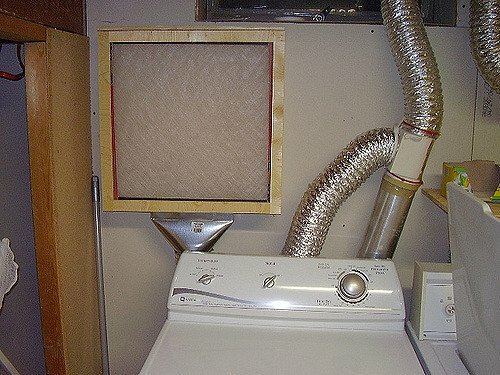 Your clothes dryer is connected to an exhaust duct that is open to the outdoors. In the summer, hot air drafts in through the duct, through your dryer and into your house. 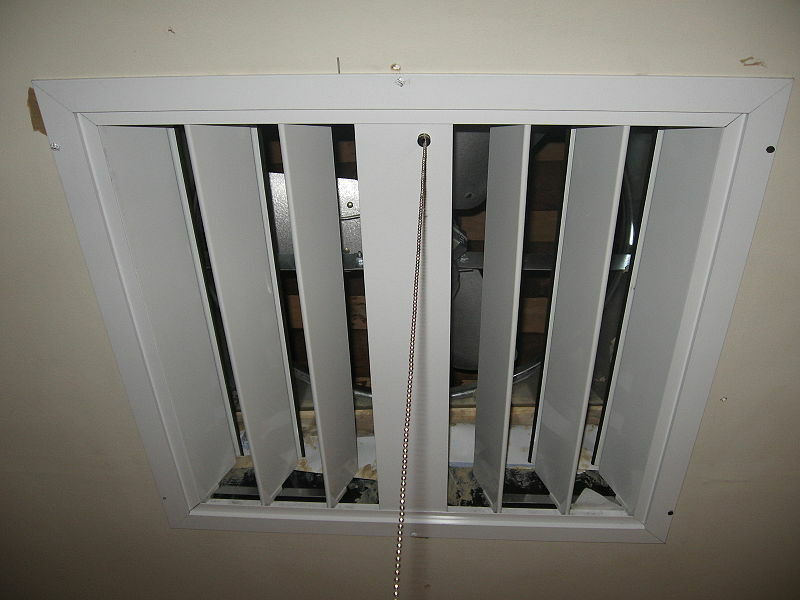 Dryer vents use a sheet-metal flapper to try to reduce these drafts. This flapper is a problem because lint clogs the flapper valve over time, causing it to stay open. And it can be blown open by a cold breeze. Time to install: 15 minutes. Cost: $19. Over 100 million homes in North America are constructed with wood or gas burning fireplaces. Unfortunately, there are negative side effects that a fireplace brings to a home. Fireplaces are energy losers! Researchers have studied this to determine the amount of heat and air conditioning loss through a fireplace, and the results are amazing. An open damper on an unused fireplace in a well-insulated house can raise overall heating and cooling energy consumption by 30 percent. Glass doors don’t stop the drafts either. 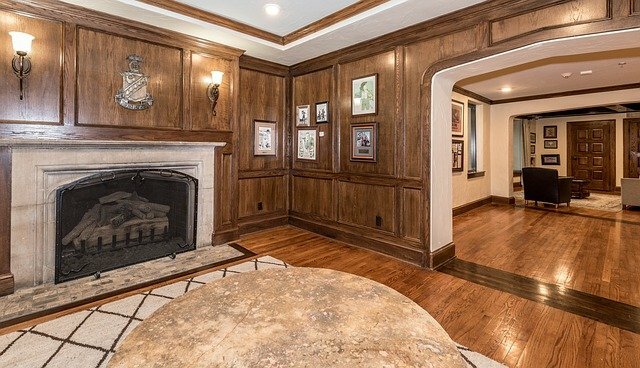 The fireplace is like a giant straw sucking your expensive heated or air-conditioned air right out of your house. An easy, low-cost solution to this problem is to add a Fireplace Plug to your fireplace. Available from Battic Door, a company known for excellent energy conservation products, the Fireplace Plug is an inflatable pillow that seals the fireplace damper, eliminating drafts, odors, and noise. The pillow is removed whenever the fireplace is used and then reinserted afterward. Time to install: 5 minutes. Cost: $55. attic stairs are installed, a large hole (approximately 10 square feet) is created in the ceiling. The ceiling and insulation that were there have to be removed, leaving only a thin, unsealed sheet of plywood. The attic space is ventilated directly to the outdoors. In the winter, the attic space can be very cold, and in the summer it can be very hot. And what is separating your conditioned house from the unconditioned attic? That thin sheet of plywood. Often a gap can be observed around the perimeter of the attic door. 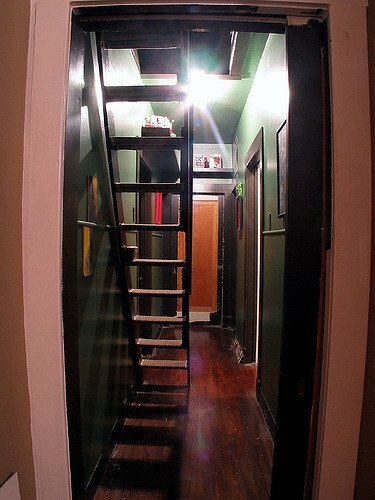 Try this: At night, turn on the attic light and shut the attic stairway door — is any light coming through? If there is, heated and air-conditioned air is leaking out of these large gaps in your home 24 hours a day. This is like leaving a window or skylight open all year round. An easy, low-cost solution to this problem is to add an insulated attic stair cover. An attic stair cover seals and insulates the stairs, stopping drafts and energy loss. Add the desired amount of insulation over the cover to restore the insulation removed from the ceiling and to meet code requirements. Time to install: 15 minutes. Cost: $99. Much like attic stairs, when whole house fans are installed, a large hole (can be 16 square feet or larger) is created in your ceiling. The ceiling and insulation that were there have to be removed, leaving only the drafty ceiling shutter between you and the outdoors. Time to install: 10 minutes. Cost: $29. Mark D. Tyrol is a Professional Engineer specializing in cause and origin of construction defects. He developed several residential energy conservation products including an attic stair cover and an attic access door. Battic Door Energy Conservation is the US distributor of the fireplace plug. To learn more visit http://www.batticdoor.com.